My son is a very picky eater like his momma /not sure WHERE he gets that peculiar behavior from! He is visiting his grandmother this week and she has asked me to compile a list of his favorites so that she can be well stocked with food that he likes. He rarely asks that I cook for anything more than dinner in a can for him. A small pantry inventory of Ravioli, cereal, waffles and chicken noodle soup and he is all set! Well this week I am sending along to Grandma a copy of his favorite recipe of all time, Peppered Steak. Years ago a family friend cooked this for us when my mom was recovering from surgery. We have tweaked it through the years and now it has evolved into our own Steak and Peppers. it is YUMMY! and makes me feel like a real chef every time I make it. Cut up the round steak into cubes or 2 inch strips and fully cook in a skillet of warmed on medium heat with vegetable oil. Add diced onions and bell peppers to the meat and cook until sauteed. Stir in beef broth, diced tomatoes and soy sauce (amount of soy sauce varies to your taste) and cook on low heat and simmer about 15 minutes. Combine 2 tbs cornstarch with 3 tbs water and mix in a small cup. 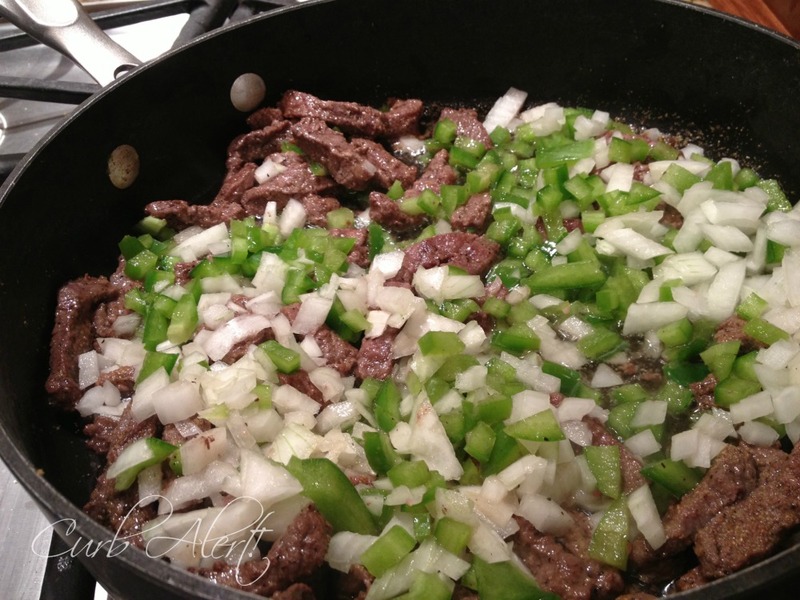 Add the mixture into the Steak and Pepper skillet and stir it in well. Simmer for about 5 minutes as the sauce will thicken. 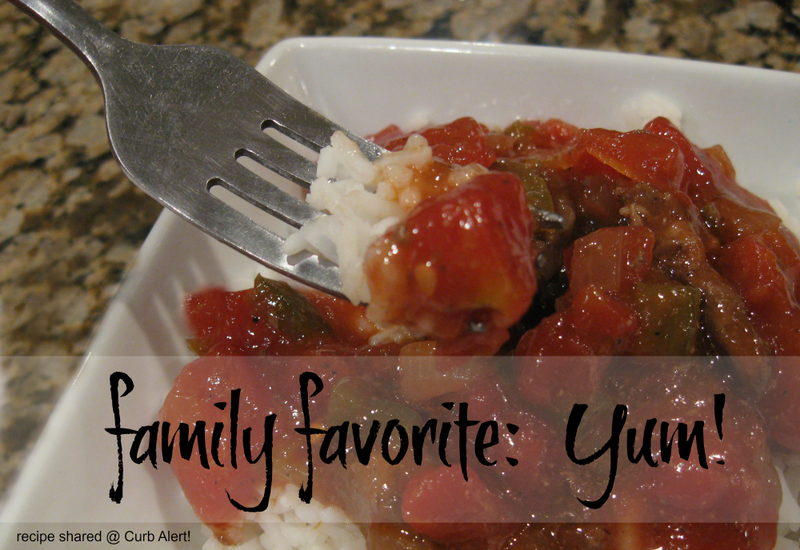 Our family likes it served over rice. 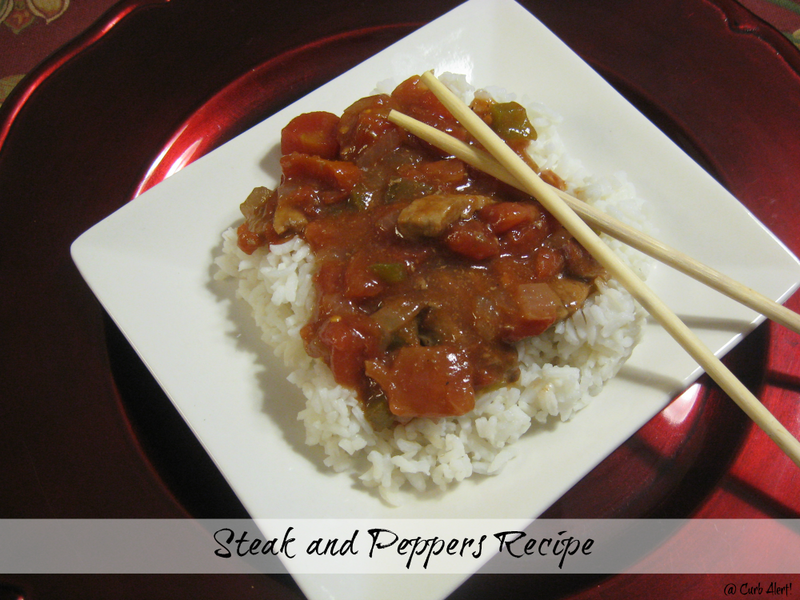 I use about 2 cups of Minute Rice and usually cook it while the Steak and Peppers are simmering. Very easy! If I can do it without destroying the meal then you can definitely give it a try too! …and good luck to you too – I hope you enjoy it as much as we do. P.S. Are you following Curb Alert! on Facebook? Previous ArticleDesign Inspiration from McDonalds! I AM SOOOOOOO MAKING THIS MY SWEET BEAUTFUL AND DID I MENTION TALENTED FRIEND… LOOKS YUMO !!!! You don't say when to add the canned tomatoes, with the broth I assume. Correct? This sounds great. I will be making it. Thanks. Carla, You are so right, tomatoes (my favorite part) are added at the same time with the beef broth! YUM! The recipe sounds wonderful. 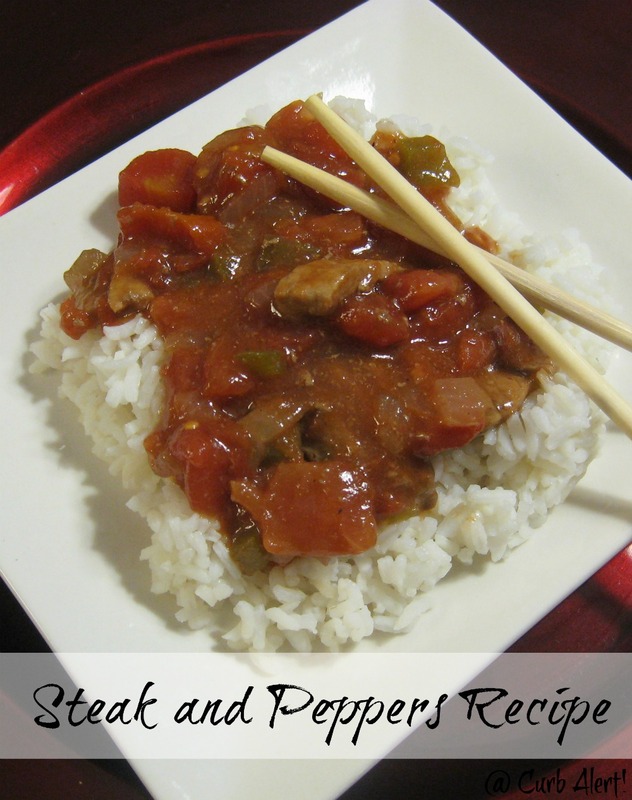 I make something similar but the soy sauce is a surprise as well as serving it over rice. My recipe is going to have to be tweaked now! Looks really good. Mr.Z. would likely love it. am drooling, got to have my Hubby make this for me, yummy !! !